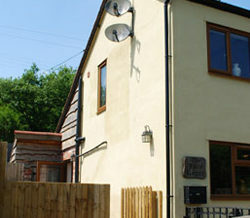 Ship cottage has been refurbished sympathetically and to the highest standard. Oak beams and log burners add to the cosy feel but still with the practicality of a large well stocked kitchen. Four people will feel perfectly at home in the Jolly Roger with the valley just out side the door and the comfort just inside. 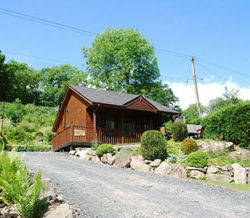 The cottage is ready receive the most hardy of out door folk with its facilities and cosy spacious cottage interior. 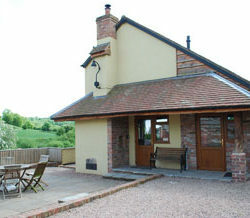 Perfect for the country retreat. Sitting high on the bank Hazeldene enjoys the most tremendous views of the river and valley. Railway enthusiasts will be in their element as the trains give you every site, sound and smell you could wish for. All enjoyed from either the decking or the patio. 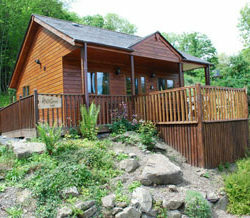 Rising up on the bank you get superb views of the valley, its river and its wild life. Holly Tree has the train track behind giving excellent sites of the trains going by. 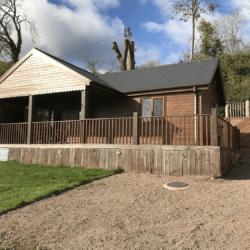 In a most secluded spot with trees behind, river and fields in front but the pub 7 minutes walk away you really enjoy the complete country experience Riverside offers. 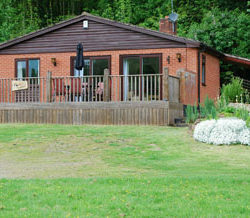 With its large living/dinning room and very large porch and shed its perfect for the more action packed holiday needs. 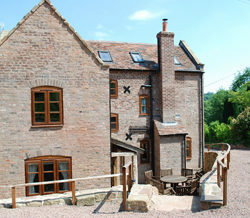 Looking down to the river and across the valley the Old Trout has wonderful views and all from the patio. Old oak beams and the large log burner along with its piece and quiet, enhance the feeling of being in the country.